← How Siri differs, Is Beta better ? Everyday, everywhere all we are hearing and reading are news reports, and blogs about the likelihood of Apple releasing a 7 ”or 8″ tablet and about “what it will be”, “what it should it be”or even can it be. The hype is at an all time high! Apple could not be in a better position of building free Buzz while still maintaining the element of surprise. Clearly the case for Apple needing to enter this market has not been made , however by September of this year Apple will have some real numbers it can work with to help with that decision. Apple will only need to look at two players now in this market Amazon and Google. Amazon’s model of sustaining neutral revenue on their tablet for the benefit of gaining content sales is plausible but has yet to be proven. Google whom I believe is subsidizing Asus’s Nexus 7 is willing to take the hit in the hopes of gaining a foothold in the tablet market. Google is betting customers will like Jelly Bean and either upgrade to bigger tablets or at the very least become entrenched in their ecosystem, where they can be mined for data to sell to their advertisers. Although techie hardware reviews are positive, it remains to be seen if the Nexus 7 will catch on with the buying public. Google’s hope that the low margins will keep Apple away from this market also affects Google’s other hardware partners providing further proof of Google’s intention of going it alone. I do believe Apple is ready to enter this market irregardless of the competition and here is why. If Apple does decide to enter this market, I predict that they will take a unique tack that will produce until now, ignored benefits and may prove to be Tim Cooks first “Stroke of Genius”. Here’s how & why they may “Think Different” it’s all about marketing. 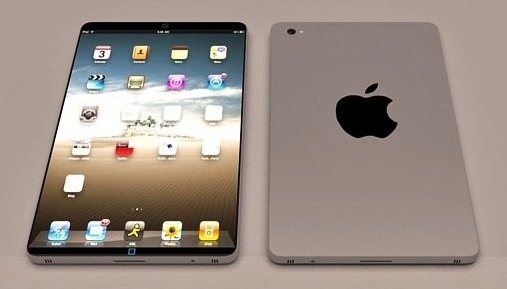 I believe Apple will introduce The New iPad Touch. a 7 to 8″ tablet aimed squarely at the younger casual gamer , a market that is currently exploding and eating business from Sony , Nintendo and Microsoft. I believe that Apple will combine the iPod Touch line with the iPad line , calling it iPad Touch increasing the line to 4 devices leaving the iPod line as strictly a music device. This lower cost, less serious section of the iPad line, positions it nicely. Keeping the iPad Touch brand out of the news has enabled Apple to develop this product without its competition including similar features in their recently released devices as well as avoiding all the second guessing associated with a rumored Apple device. Releasing a New iPad Touch will provide Steve with plausible deniability. Remembering that Steve said that Apple’s tests of this form factor revealed too many flaws for mini iPad to be considered. Marketing a Touch to younger eyes and smaller fingers will overcome the need to ” Sandpaper ones finger tips to use it as Steve claimed as a negative for a smaller iPad. Apple only enters a market when they can own it. With the lead they have built and the marketing they can bring to this , they will own this market. Jony Ives has created a Killer design for the New iPhone which will be shared with The New iPod Touch!! A 7.85″ screen will work, without forcing developers to rewrite code, however even that might be acceptable if Apple feels a 7″ screen is better. Apple will market this to Mom’s as a “safer” game system with the educational benefits of an iPad. By counter marketing this as a iPad Touch product , Apple is able to reclassify their competitors efforts as less “Serious” meanwhile maintaining the high road for the iPad. Apple will produce this baby with a great display and a A5 chip* maybe even a quad core chip. Apple could incorporate a truly upscale sound system. The iPod line needs a shot in the arm **(see below) This will reverse that decline and boost iTunes sales.